Our batteries are specially developed and designed for e-rickshaws. 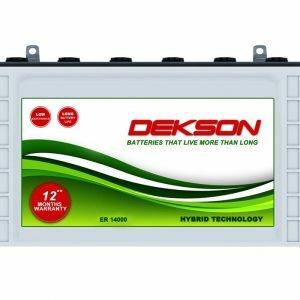 Maximum performance and better savings are the trademarks of Dekson batteries that are far superior to other brands and assures high performance and top quality. 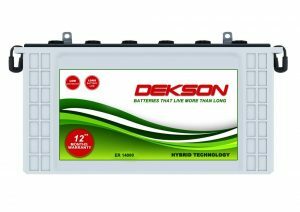 Dekson E-Rickshaw Batteries are extreme Deep Cycle batteries which combine its unique material technology with generation ahead technology for the Indian market. Our Erickshaw battery works well under the extreme hot climatic situation, throughout the day. It is designed to deliver powerful yet remain alive for longer duration ever after extensive discharges on daily basis.